-The nuclear disaster at the Fukushima daiichi nuclear power plant (FDNPP) ranked at Level 7 (the highest level) of the International Nuclear Event Scale (INES) is widely recognized as man-made. It contaminated a vast territory in Japan and was responsible of the displacement of about 160 000 persons according to official statistics and contaminated territories that were not evacuated are also strongly affected by the disaster. The crippled reactors are still discharging radioelements into the environment and tainted water piles up in tanks without any solution in sight. TepCO has yet to fully stabilize the power station and its priority is still to reduce the threat. The possibility of the consequences of another natural disaster can’t be ignored, as the crippled reactors are more fragile than usual reactors and their containment vessels are leaking. They might not be able to sustain an earthquake or a tsunami, which would lead to a new massive release of radioelements. -Evacuees: The total number of evacuees is not well known, nevertheless about 160000 people fled from contaminated territories according to official statistics (who either forced to evacuate during emergency phase or evacuated on their own). Five years later the number of nuclear displaced persons is still about 100 000 as evacuation orders have been only lifted in three places. Behind these figures there are individuals whose life was disrupted. Major nuclear disasters are firstly human disasters leading to the displacement of many people who lose everything from dwellings, family life, social relationship and future. -Radiation protection: This report shows that both evacuation and return policies are based on a lax interpretation of the international recommendations that are not very binding. 20 mSv per year corresponds to the highest value of the International Commission on Radiological Protection (ICRP) reference interval in case of existing situation that includes post-accident. ICRP recommends lowering with time the reference level to 1 mSv per year. Consequently, Japanese authorities have adopted this value as a long-term target, without a precise agenda for compliance. -Food contamination: Regarding the food issue, Japanese authorities initially failed to foresee the scale of problems with contaminated food and crops and were repeatedly caught by surprise in the following months. As a consequence, many people’s trust in the government was eroded and the population concerned about food safety reconsidered their relationship to the state and food. Government’s policy was focused on food safety but it did not address how to generate a climate of trustworthiness about food. Enforcing technical standards alone is not sufficient to overcome consumer mistrust. The challenge is to bring together food safety and the peace of mind that comes with it. -What future for evacuated territories? Decontamination is not very effective and generated huge amount of waste for which all proposed solutions failed because of the opposition of the populations. Handling radioactive waste is a difficult issue in all countries that have accumulated significant amounts, but after a severe nuclear accident, it is even more difficult as volumes are enourmous. 20 millions cubic meters are expected in Fukushima prefecture and the projected storage centre will cover 16km2. Decontamination proved to be deceiving as dose rates have not significantly fallen compared to what can be observed in the forest. Nevetheless authorities keep encouraging inhabitants to come back. -Residents are reluctant to come back: So far, evacuation orders were lifted in parts of Tamura and Kawauchi, and in Naraha in 2015; all these areas lying within the less contaminated parts of the 20km evacuation zone and evacuation recommendations around scattered hotspots are also completely lifted. But residents are reluctant to come back and contaminated areas are facing aging and depopulation problems.Facts prove that return to normalcy is impossible after a large-scale nuclear disaster such as the ones that occurred at Chernobyl and Fukushima. United Nation’s guidelines on internally displaced persons urge authorities to ensure the full participation of internally displaced persons in the planning and management of their return or resettlement and reintegration. But in Japan their participation is reduced to “explanation meetings” usually organized behind closed doors without any presence of media, NGOs, legal or independent experts and thus leaving evacuees with little recourse. Affected communities see no end to the severe hardship they are facing and are suffering. To stay or to flee, to come back or to relocate are difficult choices in a no-win situation. Number of people suffering from psychological disorders such as depression and post-traumatic stress disorder is larger thant usual among both evacuated and non-evacuated people. The impact of the accident still continues and responses that can be accepted by the affected populations are urgently required. Residents in the affected areas are still struggling to recover from the effects of the accident. 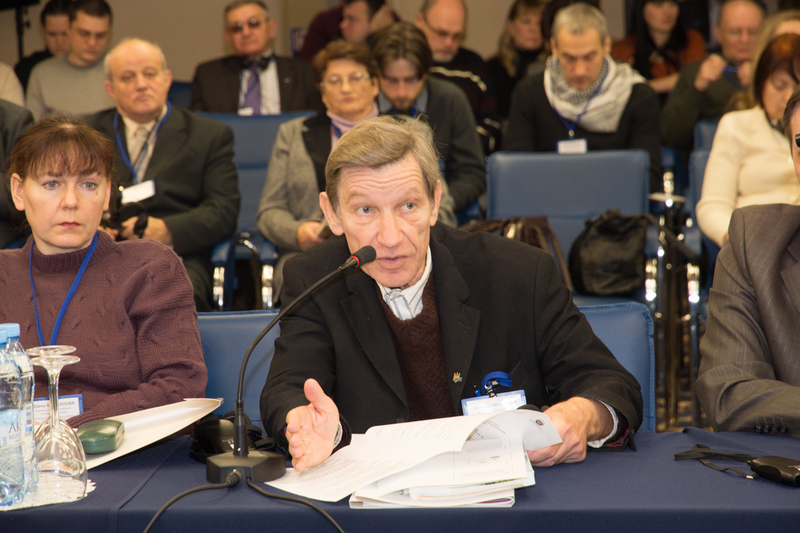 They continue to face grave concerns, including the health effects of radiation exposure, the dissolution of families, disruption of their lives and the environmental contamination of vast areas of land. After a nuclear disaster, many residents distrust authorities and official experts that failed to protect them. But recovery paths require a good coordination between authorities and the populations, which means new ways for deliberation and decision. Beyond the pain of the affected persons, a nuclear disaster also shakes the ground of democracy. Japanese citizens have proved to be resourceful about the measurement of radioactivity. Citizen mapping was done all over and food monitoring prompted authorities, producers and retailers to strengthen their controls and finally led to a decrease of intake of radioelements. Why such an open process that proved to be effective is not possible when deciding about the fate of contaminated territories and affected populations? 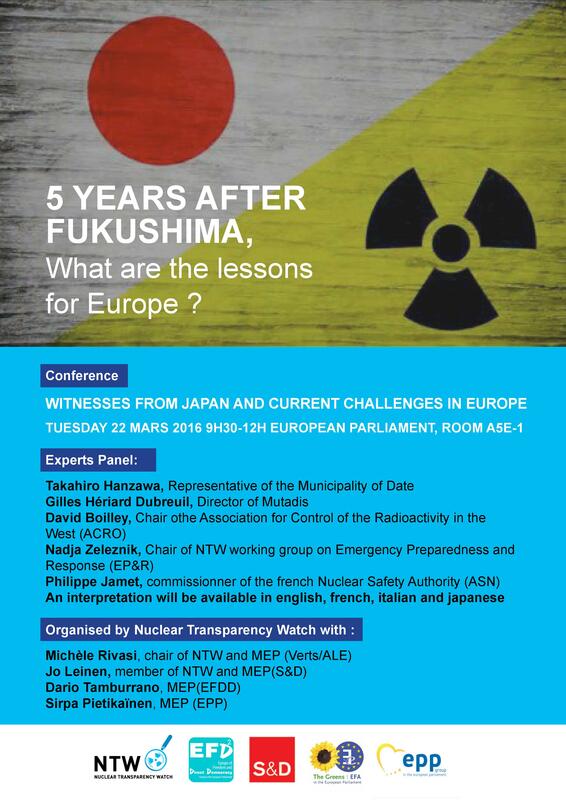 EVENT NTW in the European Parliament 22/03/16: Fukushima 5 years after, what are the lessons for Europe? During the Post-Fukushima European Nuclear Safety Stress Tests, Civil Society (CS) has drawn the attention of EU and national authorities to the urgent necessity to update and rescale the existing provisions of EP&R in the EU as a component of an in-depth nuclear safety review, a key challenge here being achieving the practical implementation of EP&R provisions at European and National levels. In December 2013, the European Commission completed a first appraisal of the current state of Nuclear EP&R provisions in Europe (the ENCO study – “Review of current off-site nuclear emergency preparedness and response arrangements in EU member states and neighbouring countries“). 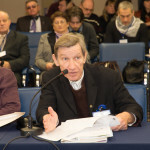 NTW has carried out (2013-2014) a review of existing EP&R provisions at EU and national levels and published a reportsynthesising the CS concerns and expectations and a position paper summarising the findings and recommendations for the scaling up of the European capacity to cope with a large scale accident such as Fukushima. The revised Basic Safety Standards (BSS) Directive (2013/59/Euratom) involves the updating of the EP&R provisions by 6th February 2018 and offers a real opportunity for improving the current situation. On December 3rd 2015, NTW was invited by DG ENER to participate in the Workshop “More Effective EP&R at the EU level under the BSS Directive” involving the representatives of the Member States’ Authorities that are in charge of the transposition of this Directive. It was for NTW an opportunity to present the views and expectations of Civil Society on this very sensitive issue. See: the presentation of Dr Nadja Železnik, Chair of the NTW EP&R Working Group, “Public information and stakeholder involvement in EP&R “. The presentation of NTW illustrated the potential contribution of CS to an effective and qualitative transposition of the BSS Directive. 3) defining, testing and implementing stakeholder engagement methods and processes. This should be incorporated in the DG energy work program and give rise to action starting in the course of 2016. How might climate change affect nuclear safety? Nuclear power plants already faces issues that may be related to climate change: floods, heat waves, storms, invasion of jellyfish and seaweed, rising sea levels, etc. With global warming, some of these natural events may be more severe. Is the nuclear fleet ready to face those threats? Nuclear power plants must be prepared to resist particular climatic hazards. Events like floods or heat waves can have a serious impact on their cooling system. Flooding is one of the major risks to which nuclear power plants must be prepared. To cool their reactors, these facilities use large amounts of water, 40 cubic meters per second and per reactor, which necessarily places them close to a river or the sea. This water dependence puts them at other risks: lack of available river water, blockage of access to cooling water by plant debris, jellyfish or sea weed bloom in the filter grids. Safety checks following the Fukushima disaster in Japan in March 2011, when a 10 meter-high sea wall was overtopped by a tsunami, have shown that nuclear plants are at greater risk of catastrophic flooding as a result of climate change. Nuclear plants can be flooded and it happened several times. In Bordeaux, on 27 December 1999, the Martin storm has made reached the seawater beyond the dikes oh the Blayais nuclear plant and the water has crept in utility tunnels. The reactors were immediately shut down by EDF, but the damage was done: electrical systems had to be shut down, including two of the four cooling circuits of reactor 1. As the plant still had electricity, pumping operations were started quickly, preventing a major accident. These operations lasted for weeks. The incident was rated level 2 on the INES scale. In Britain, after discovering in May 2013 that one of their reactors at Dungeness would be at risk of inundation by seawater during a storm, the owners, EDF Energy, quietly shut it down. Dungeness is built on a shingle beach beside the English Channel. The company informed the Office for Nuclear Regulation that it was being shut down as a precaution. The reactor remained off-line five months in 2013 while a new sea wall was constructed. Changes in rainfall regime may impact the behavior of cooling water supplies (rivers, streams, groundwater) and transmission lines. A change in the rain regime can in the long term change the bearing capacity of the underground. Even if the principal facilities (e.g. reactors) might not be concerned, related structures, piping and cabling can be. Moreover, predicted increases in sea level may cause inundation of some sites. Many existing nuclear power stations are located on coastal sites because of the need for an isolated location with a plentiful supply of cooling water. Many are built at very low elevations, and are consequently highly vulnerable to the rising sea levels which global warming is expected to bring.This will be particularly true in the southeast of England. Nuclear power may face difficulties in working because of the heat. A rise in temperature may affect the performance of the cooling systems. During the brutal heat wave in 2003, a quarter of French reactors had to be shut down. Normally, the cooling system pumps water, uses it to cool the reactors and then rejects the heated water into the environment. But in case of a heat wave, cooling waters are collected in smaller quantities, they come out of the plant warmer than usual, with the possibility of damage to the flora and fauna. Each nuclear plant has standards for the tolerated heating of the water, which is of the order of one to several degrees. During the heat wave of 2003, EDF had obtained derogations to reject abnormally warm water in rivers. The proposed new nuclear power station in Paks is supposed to reduce capacity when cooling water emission temperature limits are reached. When this happens more frequently, this will influence the economic performance of the reactor. In the face of climate change, heat peaks will still force to reduce nuclear power performance or to dump too hot water in natural environments. In France, over the last thirty years, the frequency and intensity of heat waves has increased. And that’s not all, since there are three in four chance that the number of days of heat waves will increase to 5 to 10 days in the southeast of France in the twenty-first century. Power plants in Europe do get closed down due to cooling water intake problems. Large amounts of jellyfish and seaweed more frequently block the cooling water inflows of nuclear reactors. In recent decades, dozens of cases were observed where jellyfish and seaweed caused the partial or complete shut down of coastal nuclear plants. In 2011, for example, in Scotland, two of the Torness reactors had to be shut down in the space of one week, when the seawater, used as a coolant, has been invaded by jellyfish. In France, the small ‘rose-de-mer’ jellyfish closed the Paluel nuclear plant, and in Sweden in the USA, plants have been closed down with massive influxes of larger umbrella- type jellyfish. Jellyfish are abundant in Europe coastal waters through the summer months and warmer conditions (often attributed to ‘global warming’) and exacerbate this risk. To explain this phenomenon, there is a climate-related mechanism: it could be a combination of elevated temperatures in the oceans and some environmental changes, such as overfishing and ocean acidification. It could be that the rising acidity of the oceans – related to the increased level of carbon dioxide in the water- reduces the number of sea- shell animals (that need lots of calcium) but do not touch the jellyfish. In this new non-competition environment, jellyfish could take the opportunity to multiply. All nuclear plants need large quantities of water for cooling so all must be built close to the sea, large rivers or lakes. This makes them vulnerable to sea level rise, storm surges and to the possible collapse of large dams upstream from poor construction, floodwater or seismic activity. The vulnerability of power plants to risks of flooding and overwhelming heat raises the question of cooling systems of the nuclear reactors. Besides the issue of seismic risk and probability of flooding, it is important to ask how long time of autonomy have nuclear power plants to ensure cooling a reactor if it ever stops completely? Since nuclear plants are designed to operate for as long as 60 years and need around a further century to decommission, accelerating sea level rise and more intense rainfall may present serious problems. The risk of a serious nuclear accident remains always above zero as a result of unexpected phenomena from climate change. On 29-30 June 2015, the European Nuclear Safety Regulators Group (ENSREG) has organised its third conference on nuclear safety, which took place at the European Commission in Brussels. The role of ENSREG is to help to establish conditions for continuous improvement and common understanding in nuclear safety and radioactive waste management. This year, NTW’s members have been invited as speakers. Discover the videos of Michèle Rivasi, Jan Haverkamp, Nadja Zeleznik and the EU Commissioner, Miguel Arias Canete, who welcomed the EP&R report of NTW and stated the European Commission’s willingness to work closely with the civil society. 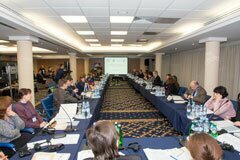 The fifth NTW round-table on emergency preparedness and response has taken place in Kyiv, Ukraine, on January, 26th. All materials are available on the website of Mama86, member of NTW and organizer of this event. 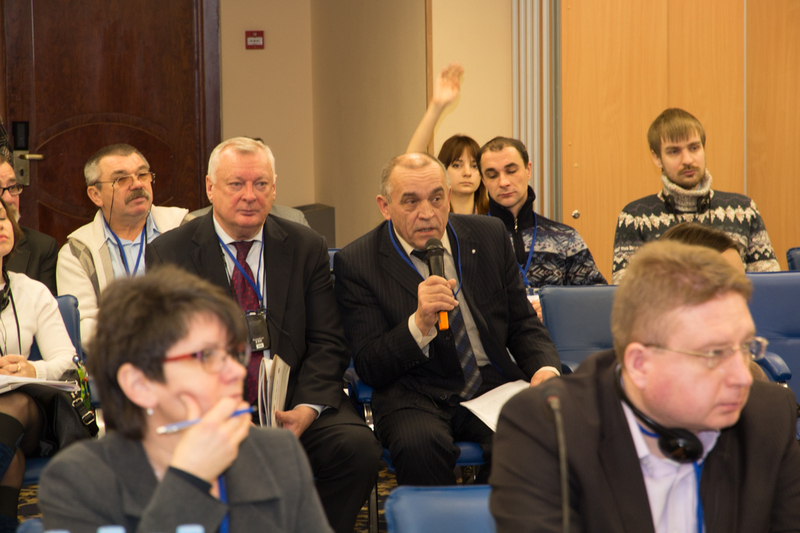 On January 26, 2015 the International Roundtable on Emergency Preparedness and Response in the Nuclear Sphere was organized in Kyiv by the Ukrainian Environmental NGO “MAMA-86” (UNENGO “MAMA-86”) and the State Inspectorate for Nuclear Regulation of Ukraine, with the support of the Swedish International Development Cooperation Agency and the European public network Nuclear Transparency Watch. 25 years after the Chernobyl disaster, the 2011 Fukushima accident proved that no country which depends on the energy from nuclear reactors is immune to radiation accidents. While seeking to ensure a more secure energy future, we need to guarantee nuclear and radiation safety today. If there had been adequate emergency preparedness and competent response measures, the number of victims in both accidents could have been significantly smaller. For Ukraine, which will continue to suffer from the consequences of the Chernobyl accident for many decades more, nuclear emergency preparedness and response is a matter of the national level, and thus the interaction between the government and the public on this issue is very important to ensure effective security policy. The responsibility for nuclear emergency preparedness and response in Ukraine is shared by different authorities and other bodies — “Energoatom”, which operates the nuclear power plants, the State Inspectorate for Nuclear Regulation of Ukraine, the State Emergency Service of Ukraine, the Ministry of Health and other central executive bodies, as well as regional and local authorities. Therefore the round table was attended by a wide range of stakeholders, representatives of central and local authorities, NGOs, the operator, research institutions, independent local and European experts, the media and others — 122 participants in total. Representatives of “Energoatom” and the responsible authorities (the State Inspectorate for Nuclear Regulation of Ukraine, the State Emergency Service of Ukraine, the Ministry of Health and others) reported about the action taken in their areas of competence to minimize public health and environmental risks in case of a radiation accident at an NPP. 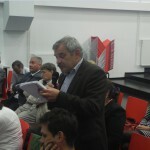 The public and journalists were able to express their critical comments and ask sharp questions about the main challenges in this area — how to enable effective implementation of evacuation plans; iodine prophylaxis; staffing and logistics needed to carry out the necessary work in case of accidents and so on. Participants discussed ways to improve the regulatory framework, interagency coordination and cooperation with local authorities, cross-border cooperation and other issues. The foreign speakers, including representatives of the Nuclear Transparency Watch (NTW), which brings together civil society experts from nuclear EU countries and Ukraine, insisted on the importance of public control of the activities on emergency preparedness and response in order to ensure their effectiveness. NTW experts presented the results of the assessment of the situation with nuclear emergency preparedness and response in the EU, and described the practices of some European countries. A particular attention of civil society experts was focused on the challenges of public information and participation relating to emergency preparedness and response action. Roundtable participants agreed on the necessity of systemic interaction to continuously inform citizens about the provision of effective emergency preparedness and response. The Roundtable findings will be disseminated among all stakeholders. On January 27, 2015, Roundtable participants had an opportunity to visit the Emergency and Technical Center of “Energoatom” (ETC), located in Bilohorodka town near Kyiv. The Center, which has 270 employees (many of whom participated in the Chernobyl accident liquidation activities or have worked at a nuclear plant) is designed to ensure constant readiness of Ukraine to take rapid and effective action in case of a nuclear accident. Visitors, which included representatives of the public, authorities and media, listened to the presentation about the activities of the ETC and received answers to all their questions. They also were shown the equipment used by the ETC in its work. Based on the summary of the findings of the International Roundtable and the study visit, “MAMA-86” will prepare a report to be published on the website, as well as the analysis, which will be included in the public assessment of the situation with emergency preparedness and response in Europe produced by NTW. In addition, the Roundtable conclusions and recommendations will be summarized and communicated to relevant actors. A week ago, a journalist of the German newspaper TAZ revealed that a nuclear emergency exercise has taken place on September 17th, 2013, figuring an accident at the German nuclear plant Emsland. The outcomes were so catastrophic that the whole test has been hidden by the authorities. “The facts highlighted by the TAZ are really worrying: the German authorities would have been totally unable to protect their population. The aim of this exercise was to test the decision and communication lines; the outcomes speak for themselves: More than one million inhabitants would have been affected by the radioactive releases before any public warning of the authorities. What happened meanwhile? Over 200 civil servants have been discussing the sharing of responsibilities between the leading Federal Environmental Ministry BMUB and the environmental ministries of the German federal states….So that some regions received the security instructions (to close the windows, doors etc) five hours too late. The reaction of the German authorities, who simply hide these embarrassing outcomes, is unacceptable. Brigitte Artmann, German member of Nuclear Transparency Watch and speaker for fire brigades and emergency preparedness in her hometown Marktredwitz, underlines that: “nothing has been shared with Nuclear Transparency Watch during our national investigations on emergency preparedness and response prior to two roundtables gathering civil society organizations… We contacted the Federal Interior Ministry in Berlin and several Interior Ministries of German federal states but no one evocated this exercise. Nuclear Transparency Watch claims for cross border and multilateral discussions – with real involvement of civil society organizations- on issues such as nuclear emergency preparedness or the further operation of nuclear plants close to the borders. The third roundtable on emergency preparedness and response around the nuclear power plant Krsko has taken place on October, 20th. As the member of NTW REC Slovenia carried out on October 20th 2014 a round table on emergency and preparedness in case of nuclear accident in NPP Krško and its cross-border aspects. The round table took place in Brežice (Slovenia) at the border with Croatia. 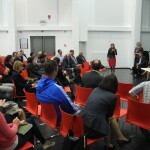 It was attended by 55 persons from all stakeholder groups from Slovenia and Croatia and the Slovene media. Both countries have an equal share of equity in NPP Krško, a joint venture of two federal republics of former Yugoslavia and situated in the Slovene town of Krško, very close to the border and in the vicinity of the city of Zagreb, a capital of Croatia with about 1 million inhabitants. The 696 MW Westinghouse designed PWR reactor that started its commercial operation in 1983 is considered as well operated in terms of safety and electricity generation and has already entered procedure to extend its design life time operation for additional 20 years, i.e. till 2043. At the round table representatives of the NPP Krško, local communities, state, regional and local authorities from both countries presented official nuclear emergency and preparedness plans and activities. In the discussion that followed the citizens and NGOs raised their concerns regarding presumptions of the EP&R plans and asked whether in reality the plans could be implemented. Special concerns were raised on the fact that although the local people have trust in safe operation of the NPP they are- according to the public opinion surveys- poorly informed on how to behave in case of an emergency and sceptical about their chances to escape the worst even if act properly. – a lack of permanent and balanced dialogue on nuclear safety, including EP&R issues, between the plant operator and authorities on the one side and citizens, independent experts and NGOs. – Contradiction between planned evacuation of pupils in schools and kindergartens and intentions of parents to evacuate with private cars together with their children was also identified. 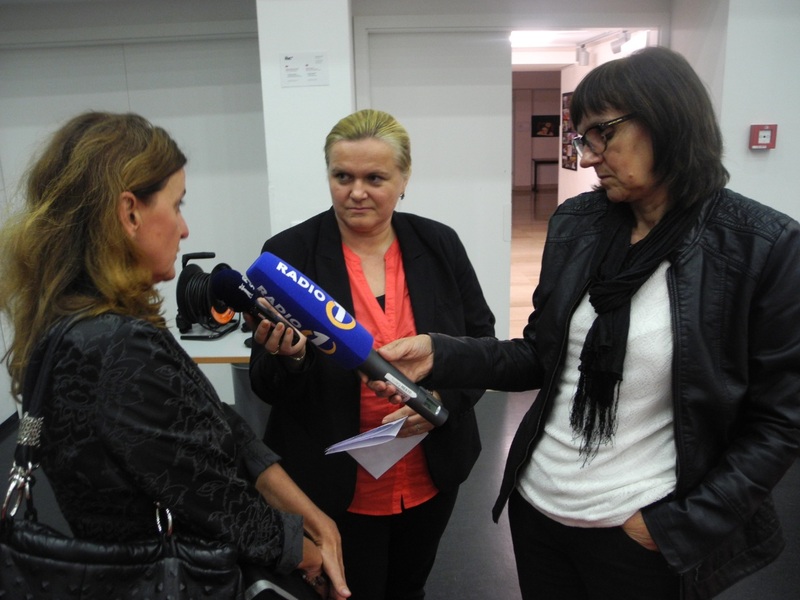 – Citizens also demanded transparent and clear answers regarding long term relocation and damage compensation in case of a major accident in the NPP Krško. The round table however also identified progress in cross border cooperation. The cooperation between Slovenia and Croatia started at the end of the 90s; it has been continued in 2012 within an EU sponsored project on evacuation in a case of a nuclear accident involving Slovene towns of Krško and Brežice and the city of Zagreb. 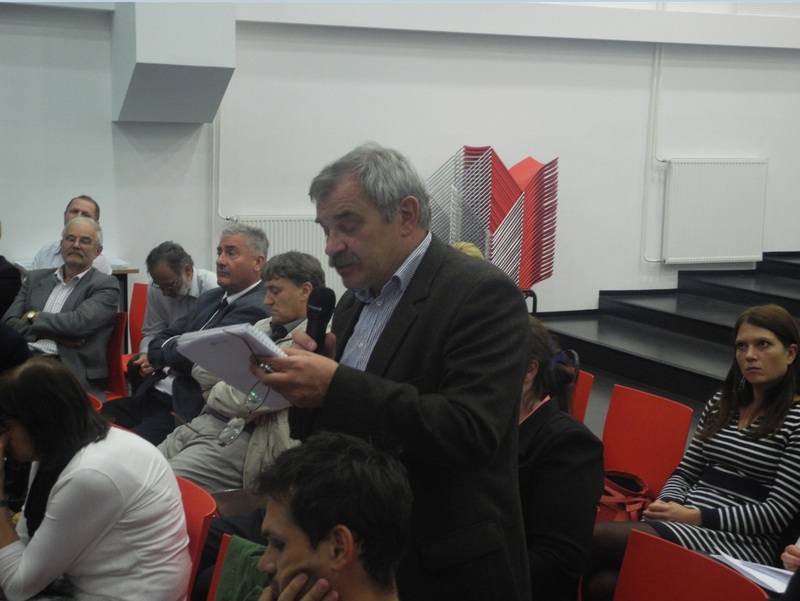 The participants were unanimous about the necessity to organise similar events in the future to further discuss the open issues not only in Slovenia but also in the municipalities of Croatia that are situated within the emergency planning zones. It was agreed that a proper strategy for approaching local citizens need to be found. REC Slovenia will seek for possible support to link local population with authorities. 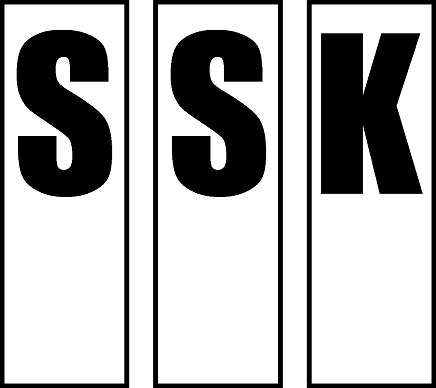 Two interesting documents communicated by NTW’s German members working on emergency preparedness and response, published by the German Commission on Radiological Protection (SSK). 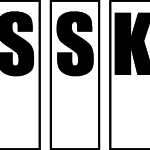 As well as a website with the results of the German gamma dose rate measurement network operated by the Federal Office for Radiation Protection (Bundesamt für Strahlenschutz).